BMW i's third member is taking shape. With the i3 and i8 slowly changing the image of Bayerische Motoren Werke (BMW), the Bavarian brand is reportedly working on the third model of the i-family – namely the i5, expected to arrive by the end of the decade. 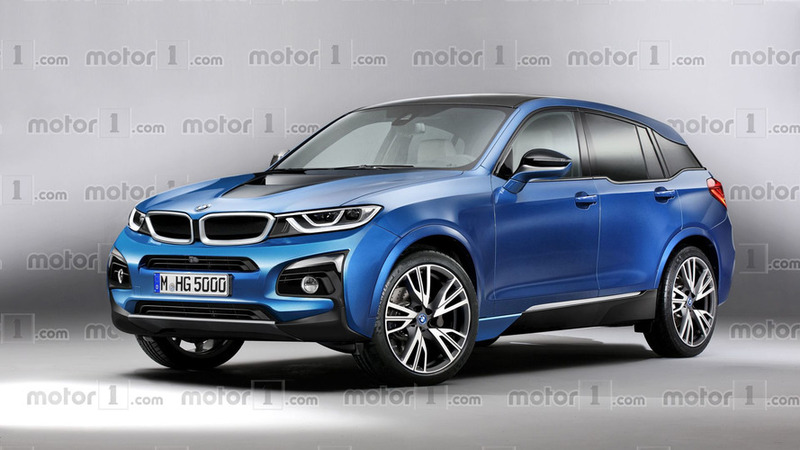 The model will be positioned between the i3 and i8 and will most likely take the shape of an X5-sized SUV, and this exclusive rendering by our colleagues at OmniAuto shows a possible look for it. Based on a platform called FSAR (Flat Battery Storage Assembly), the i5 will be aimed at families, and that means “it must be capable of being the first car in the household,” as Henrik Wenders, BMW i’s head of product, told Car and Driver two months ago. While BMW is not ”going to join the race about maximum range figures,” the Tesla Model X-fighter is expected to offer about 200 miles (321 kilometers) of all-electric range. As confirmed by Wenders, the vehicle will be a pure electric car, rather than a hybrid, and a range-extending internal-combustion engine will be an option. Of course, we still don’t have an exact launch date for the i5, but many believe the debut could be timed to coincide with new German incentives for electric vehicles. In other words, look for the final production model on the road in at least two or three years from now.